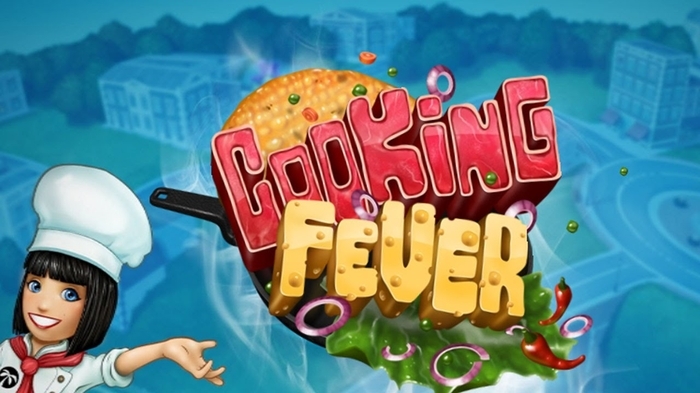 Prepare meals from around the world in this fun cooking game. 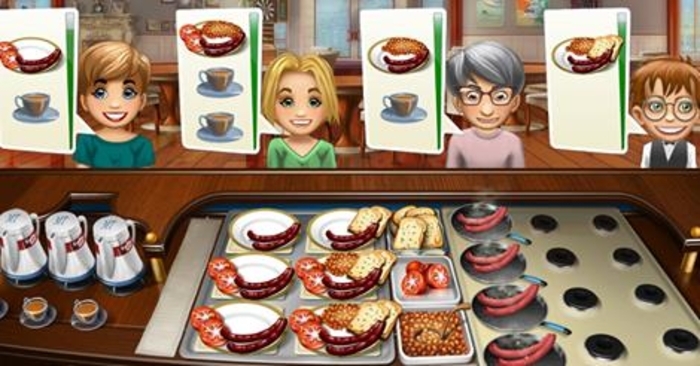 This is a fun time management game with over 400 levels and locations. 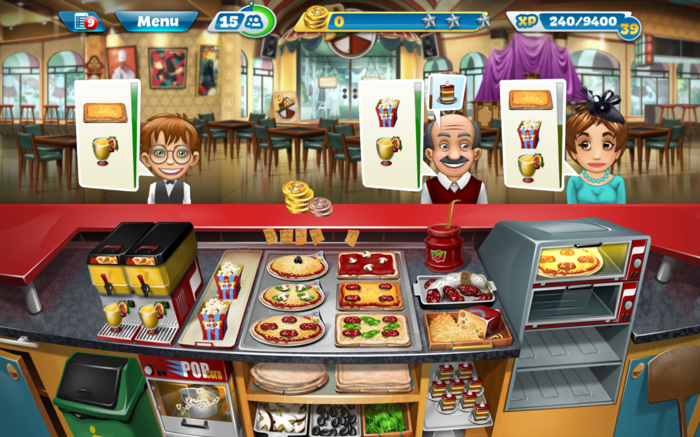 You're in charge of your restaurant, making sure orders are taken correctly and that meals are prepared to the satisfaction of customers. There are 150 ingredients that can be used to make over 400 dishes. 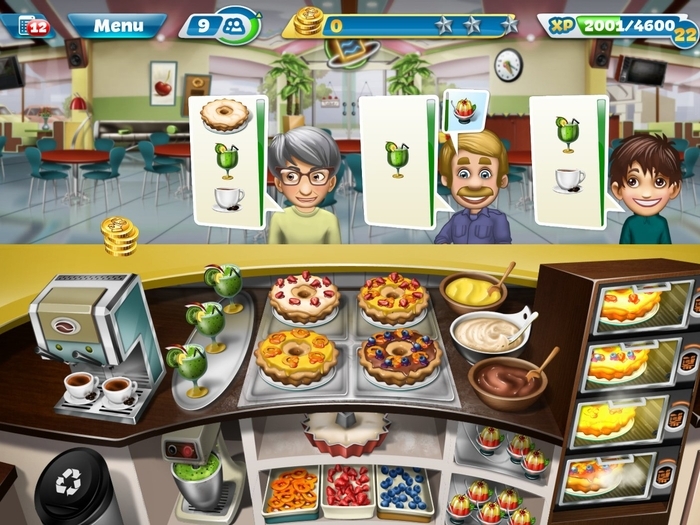 Have fun decorating your restaurant to entice customers and to make them feel welcome while they are eating. 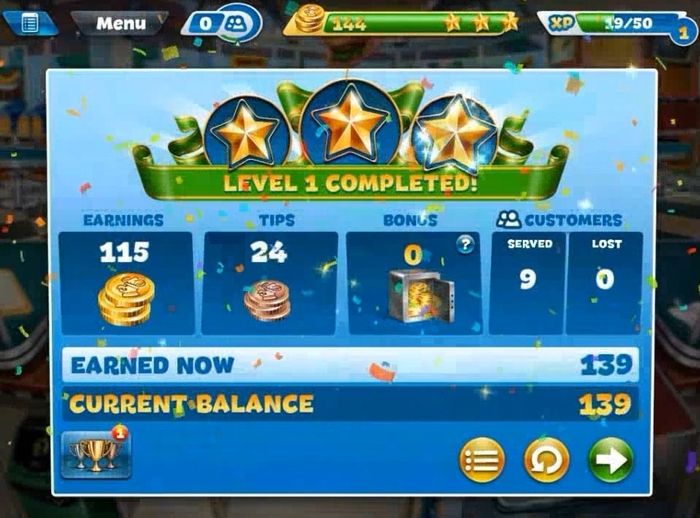 Upgrades to the employees and the appliances can be made so that meals can be prepared and served faster with each level so that you earn more coins.